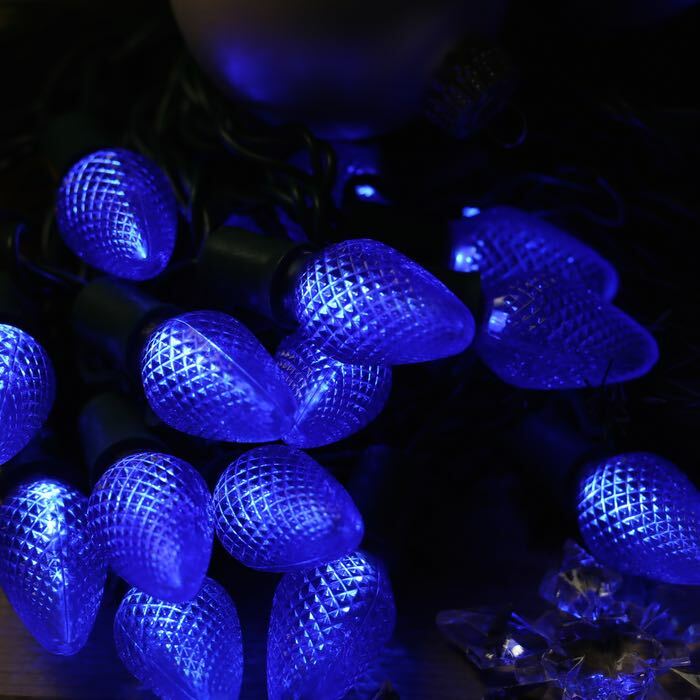 Decorate with blue LED Christmas lights to add an icy glow to your Christmas party! 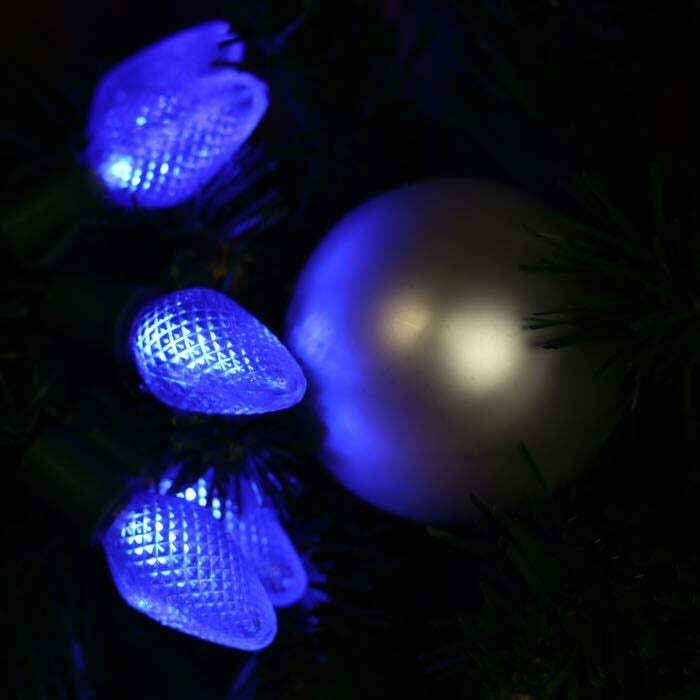 With 25 blue LED lights spaced 8 inches apart, these lights are a perfect accent for your next event. Over 80 strings of these lights can be run in series and at an approximate length of 16.5 feet that's over 1300 feet! 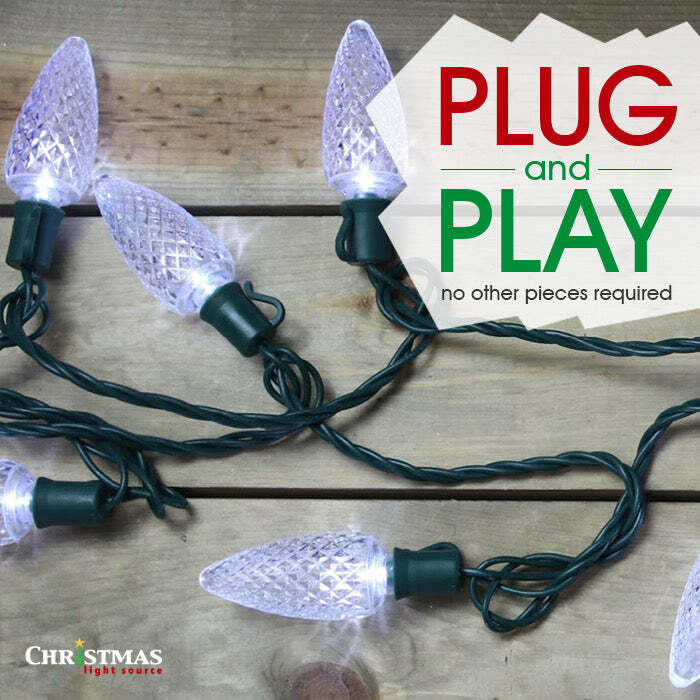 If your plan requires alternating colors or custom colors, check out our C7 stringer wire and bulbs. Celebrate a win of your favorite college team. Host a block party for all your neighbors to enjoy. Enjoy a simple night of listening to the blues. Q: Why type of plugs are on the ends? Are these standard "wall plug" types, or the end-to-end screw together kind of plug used in commercial lighting? A: This set of lights has standard male and female plugins that plug into any standard outlet - not the coaxial style of connector. We are discontinuing the lights that have the coaxial connectors.